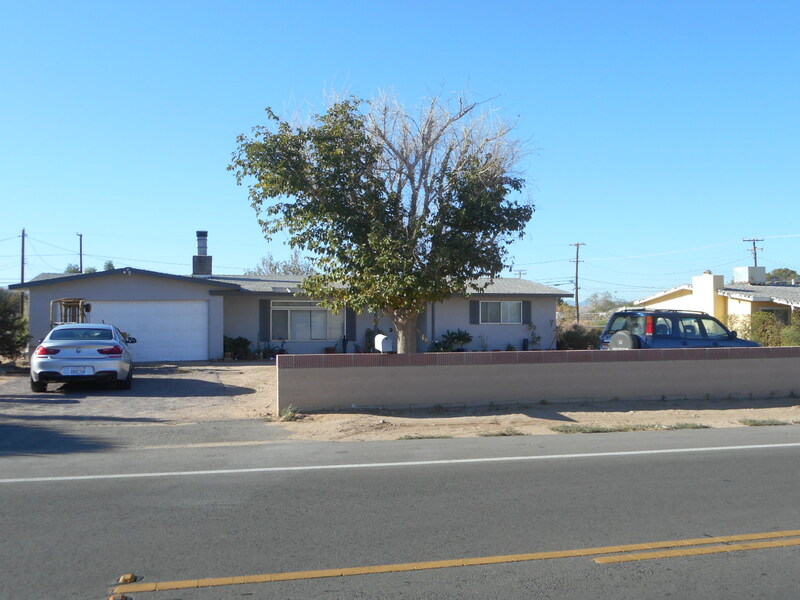 DESCRIPTION: TRADITIONAL 3 BEDROOM, 1¾ BATH HOME IN THE HIGH DESERT CITY OF APPLE VALLEY. THE HOUSE FEATURES A LIVING ROOM WITH GAS FIREPLACE AND DINING AREA. KITCHEN WITH STOVE AND WALL OVEN. SERVICE AREA WITH WASHER/DRYER HOOKUP. NEWER WATER HEATER AND HEATING FURNACE. ATTACHED 2 CAR GARAGE AND ELECTRIC ROLLUP DOOR. LARGE BACKYARD. FAMILY MEMBER PASSED AWAY IN THE HOME IN 2004. GREAT AFFORDABLE FIXER OPPORTUNITY. NO COURT CONFIRMATION. LOT SIZE: 21,859± SQ. FT.